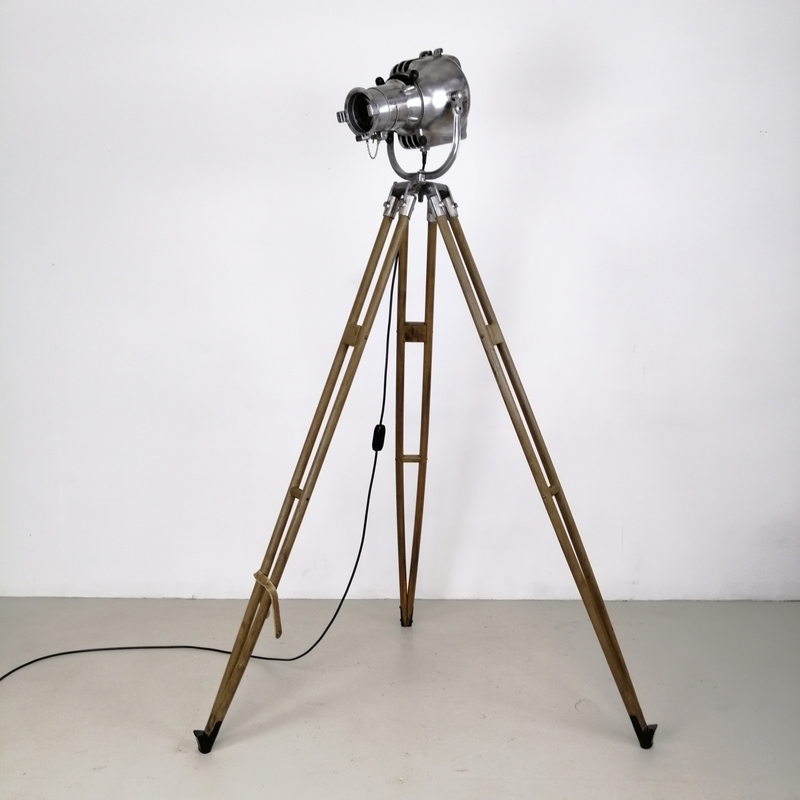 60s Strand 23 theatre light, stripped and polished to a raw metal finish, mounted on a vintage wooden tripod. 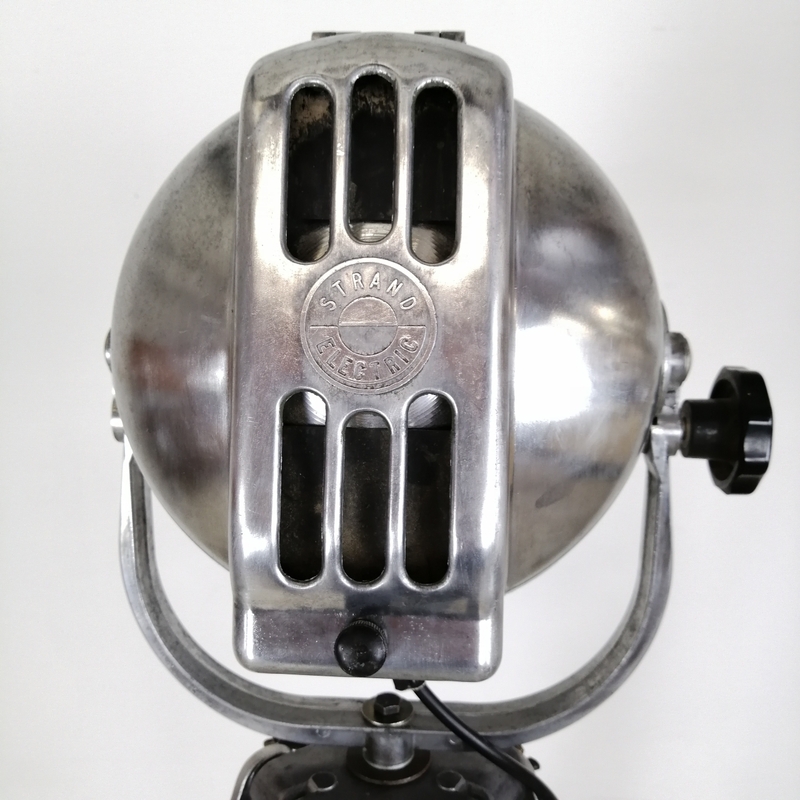 The lamp is in full working order, has been newly rewired and has an on/off switch. The bulbholder has ben replaced with a new one meaning you can use normal screw fit E27 bulbs (40-100W). 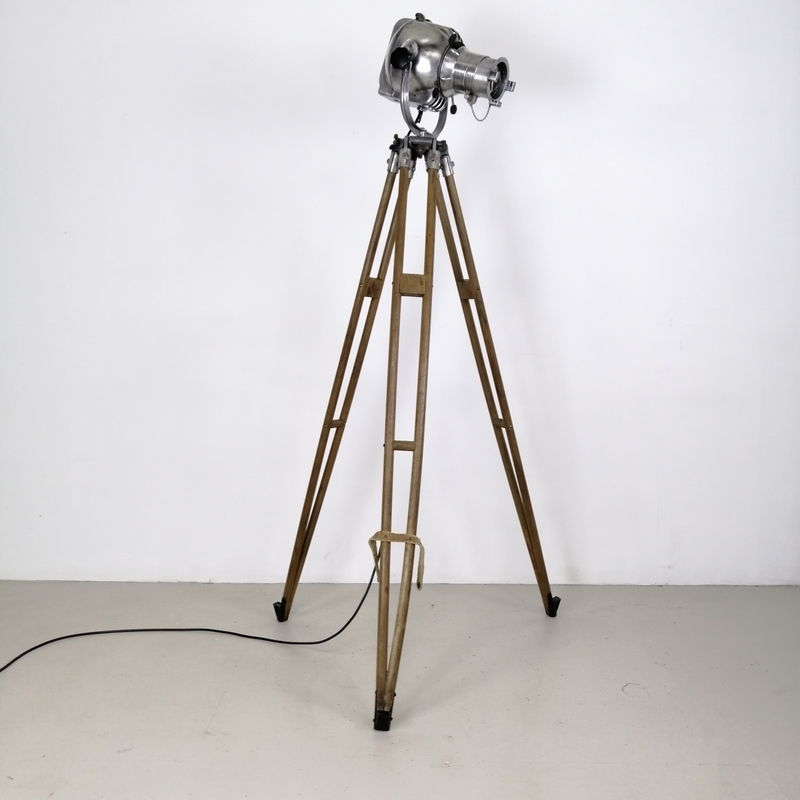 The tripod is fully adjustable height-wise and the lamp will turn 360 degrees and adjusts up and down as well. 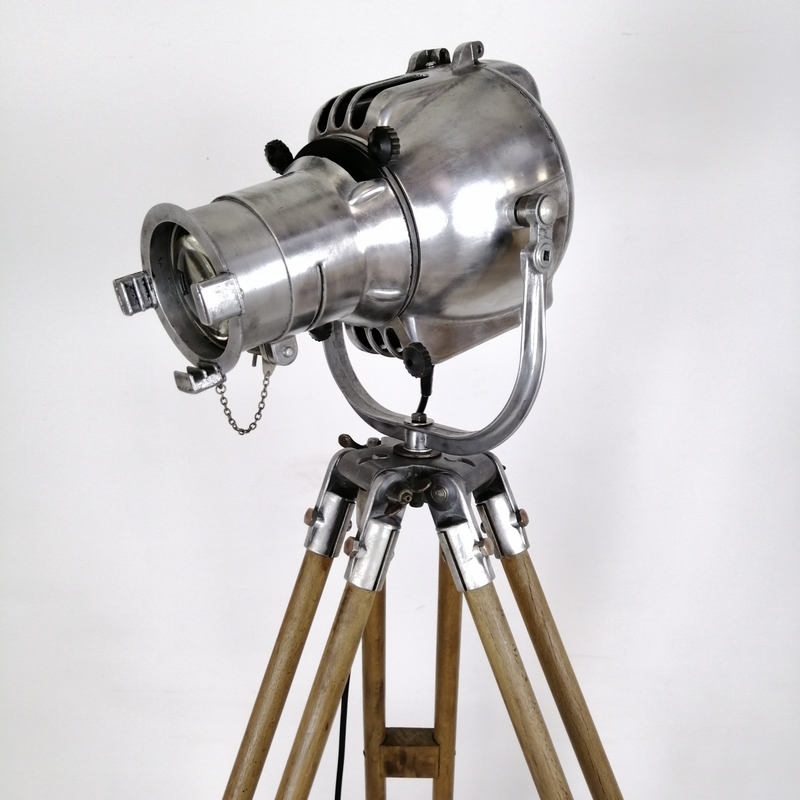 The beam of light has one adjuster. 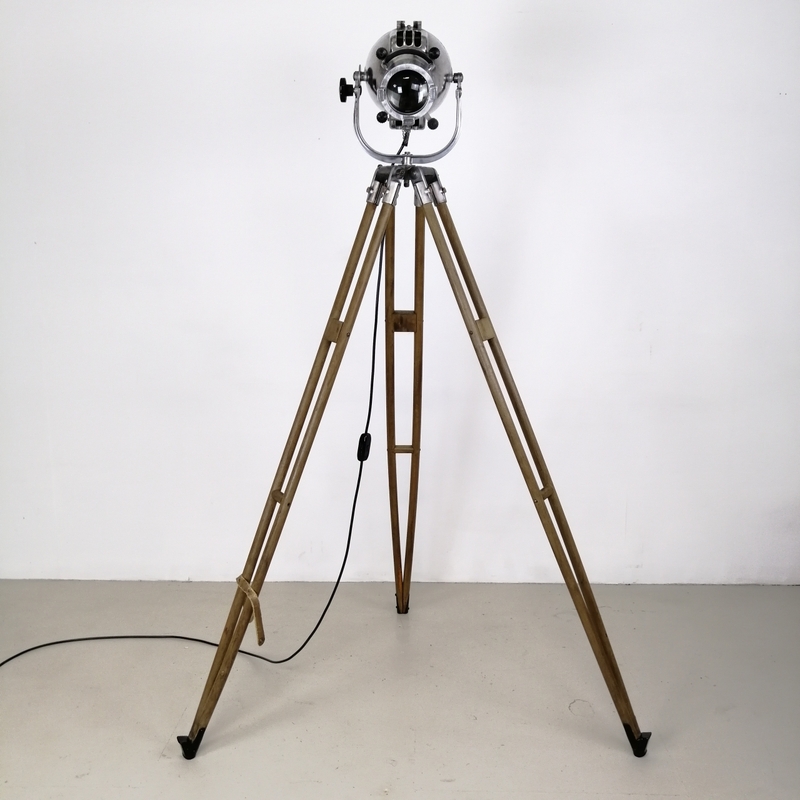 The lamp and tripod are in good vintage condition with some wear and tear commensurate with age and use, but nothing specific to mention. 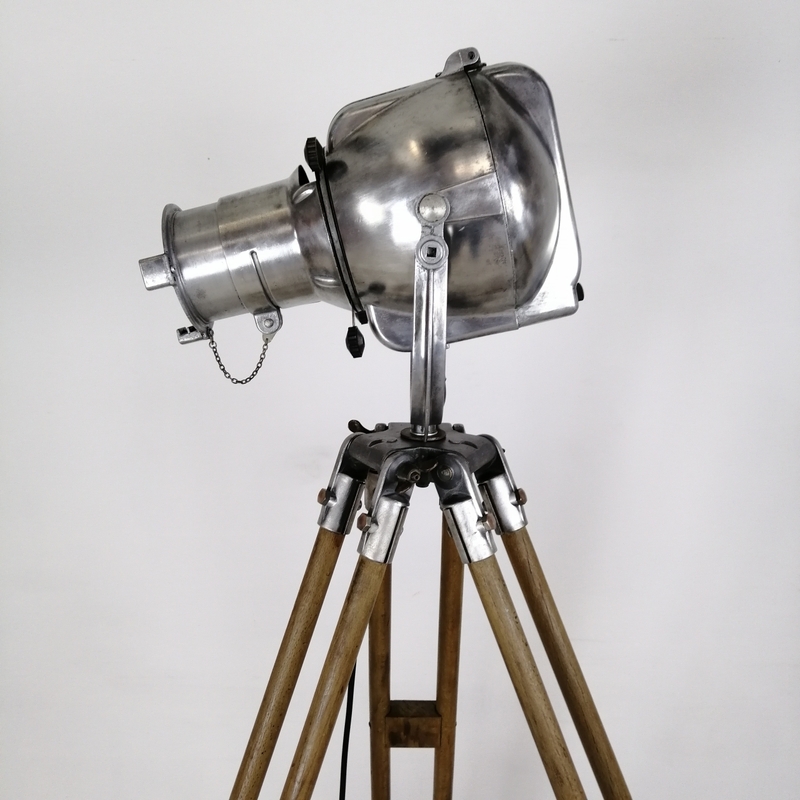 This lamp has a lot of impact and is also really good fun!